Cable trades in multi-day lows near 1.3360. Brexit uncertainty keep weighing on GBP. US ADP report next on the docket. 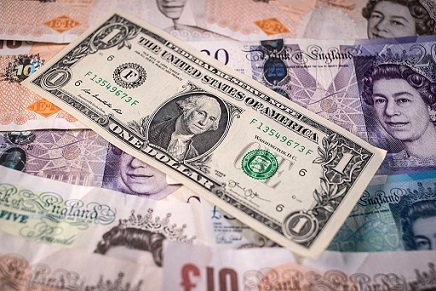 The British Pound remains on the defensive on Wednesday and is forcing GBP/USD to drop to fresh multi-day lows in the 1.3360 region. Cable is prolonging the decline today, losing ground in three out of the last four sessions and breaking below the key 1.3400 support on a more convincing fashion, opening the door at the same time for further pullbacks. Brexit concerns have re-emerged with moderate strength following the failed attempt of clinching a deal after the meeting between UK’s Theresa May and EU’s J.C.Juncker yielded no progress earlier in the week. Adding to the ongoing jitters, the ‘Irish border’ issue still remains unsolved while a DUP-May meeting is expected any time soon. Later in the session, Cable should remain under pressure via USD-dynamics in light of the release of the US ADP report (185K expected). As of writing, the pair is losing 0.54% at 1.3371 and a break below 1.3358 (low Dec.5) would aim for 1.3291 (21-day sma) and then 1.3221 (low Nov.28). On the other hand, the immediate up barrier aligns at 1.3478 (high Dec.5) seconded by 1.3550 (high Dec.1) and finally 1.3658 (2017 high Sep.20).